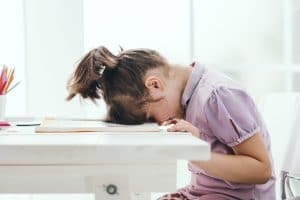 How Do Breathing Issues Impact Child Behavior? Many children in the United States are having trouble breathing at night. When airways are obstructed, they may not be receiving the proper rest they need, even if it seems like they’re sleeping great. In today’s blog, we’re discussing when our Livonia, MI, patients should talk to us about orthotopic treatment and how addressing these breathing issues could impact child behavior. The issue is usually tied to the development of the smile. As children grow, so do their oral tissues and jaw. Issues with development, including misalignment or oral tissues blocking airflow, make breathing during sleep problematic. As they grow older, these same issues increase the risk of obstructive sleep apnea, a serious disorder linked to high blood pressure, depression, stroke, and heart attack in untreated adults. In order to help children as young as age three, we may suggest orthotropic treatment. We will examine your child to assess the cause and severity of their breathing issues. From there, we provide a custom oral appliance, which will be worn at night. The device guides the development and growth of oral tissues, improving the ability to breathe and protecting them from serious issues down the road. Does Your Child Need a Diagnosis? We’re ready to perform an exam and see if your child benefits from orthotropic treatment! James Stewart, DDS, and our team serve patients from Livonia, MI, as well as Farmington Hills, Farmington, Plymouth, Northville, Novi, Dearborn Heights, Dearborn, Garden City, Westland, Redford, and the surrounding communities. To schedule a consultation, call our office today at (734) 425-4400.